Aiming to secure the food supply chain and improve traceability, IBM is working with Walmart and Tsinghua University to use blockchain to enhance food safety in China. IBM, in conjunction with global retailer Walmart and Tsinghua University in Beijing, China, is harnessing blockchain technology to bring safer food to the table in China. The partnership was announced this morning as part of the opening of the new Walmart Food Safety Collaboration Center in Beijing. The collaboration will pilot blockchain for food authentication and record-keeping in the supply chain, providing a permanent record of every transaction. "China's rapid economic growth has led to massive opportunities for innovation, but it has also presented quality of life challenges, including ensuring that food sold in the country is safe to eat," Professor Chai Yueting, National Engineering Laboratory of Electronic Commerce Transaction Technology, Tsinghua University, said in a statement today. Yueting hopes that Tsinghua University's work with IBM and Walmart will serve as a global model for food safety that others will be able to follow and replicate. Blockchain is a distributed database that consists of blocks of items - each block is a timestamped batch of valid individual transactions and the hash of the previous block, creating a link between the two. Because each timestamp includes the previous timestamp in its hash, it forms a chain. Each new transaction must be authenticated across the distributed network of computers that form the blockchain before it can form the next block in the chain. The partners say blockchain will enable digitally tracking food products from an ecosystem of suppliers to store shelves and finally on to consumers. It will digitally connect food items to digital product information including farm origination details, batch numbers, factory and processing data, expiration dates, storage temperatures and shipping details. The relevant information will be entered into the blockchain at every step of the process of moving food from suppliers to consumers. The information in each transaction is agreed upon by all members of the business network; once there is a consensus, it becomes a permanent record that can't be altered. This helps assure that all information about the item is accurate. The pilot project is designed to trace pork as it moves from suppliers to Walmart's shelves. By the time food is sold to a consumer at a Walmart store, each individual item will have been authenticated using blockchain technology to create a transparent, security-rich and traceable record. The record created by the blockchain can also help retailers like Walmart better manage the shelf-life of products in individual stores, and further strengthen safeguards related to food authenticity. 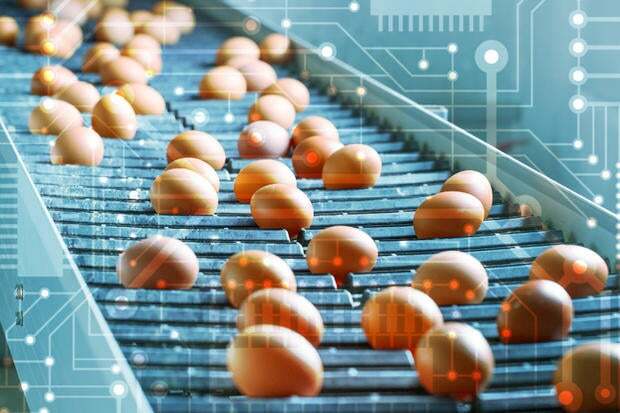 "Advanced technology has reached into so many aspects of modern life, but it has lagged in food traceability, and in particular in creating more secure food supply chains," Bridget van Kralingen, senior vice president, Industry Platforms, IBM, said in a statement Wednesday. "Food touches all of us, everywhere, and ensuring the safety of what we eat is a global effort, so we are experimenting in China with Walmart and Tsinghua given the size and scale of food consumption in this country." China is the world's leading consumer of pork. According to the University of Pennsylvania's Penn Wharton Public Policy Initiative, China consumed 57 million metric tons of pork in 2014, more than half of global pork consumption in that year. Although the country accounts for half of the world's pork production, in recent years it has begun importing pork to meet consumers' demands — in 2014, Mainland China was the world's third-largest importer of pork (13 percent), behind Japan (21.1 percent) and Mexico (13.1 percent). In fact, pork is so popular in China that fluctuations in its price have the potential to send the country's economy into a tailspin. According to The Economist, in 2007, an estimated 45 million pigs in China died from "blue ear pig disease." The resulting shortage caused the price of pork to skyrocket, in turn causing the annual rate of increase of the consumer price index to hit a 10-year high. Recognizing that food security was a vital national interest, the Chinese government implemented the world's first strategic pork reserve, a combination of frozen and live pork that can be used to soften the effects of vicissitudes in the market. The Chinese government tapped the reserve earlier this year, releasing 6.1 million pounds of frozen pork into the market over a period of two months in an effort to ease prices that had surged by more than 50 percent. The concerns aren't just economic. Those economic pressures can lead unscrupulous suppliers to cut corners. In 2011, according to Penn Wharton, China's largest processed pork manufacturer was discovered using illegal feed additives that contaminated its product. In the wake of many other such food safety scandals, the government has been blamed for its inability to ensure a safe food system. The collaboration between Walmart, IBM and Tsinghua University aims to change that perception. IBM Research - China brings its expertise in rapidly evolving blockchain technology to the table (the IBM Blockchain is based on the open source Hyperledger Project fabric from the Linux Foundation). Top experts in safety transaction security and authentication technology from Tsinghua University are working alongside them, while Walmart brings is team of supply chain, logistics and food safety experts to the project. "As advocates of promoting greater transparency in the food system for our customers, we look forward to working with IBM and Tsinghua University to explore how this technology might be used as a more effective food traceability solution," Frank Yiannis, vice president, Food Safety, Walmart, said in a statement Wednesday.